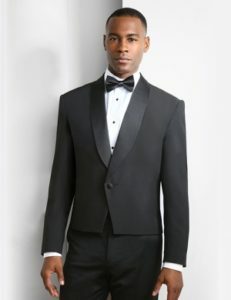 Tuxedo rentals for every occasion from Jim’s Formalwear. Need to Rent a Tuxedo? Have a special occasion, prom or wedding, quinceanera or other formal event that is just around the corner and you want to look elegant and glamorous? Banquet manager of a country club and looking for a great selection of formal uniforms? 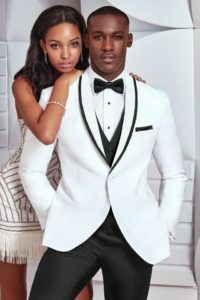 Whatever the case may be, First Class Uniformal, serving all of Oakland county from West Bloomfield Township, MI, is the tuxedo and uniform shop that can provide you with quality product to rent or to purchase. Create an image that will make you proud! The idea behind our business is to supply an affordable way to outfit a fine dining or casual restaurants wait staff, school choirs, country clubs, bands and orchestras, and fraternal organizations. We offer formal tuxedo coats, pants, vests, shirts, skirts, ties and accessories for the front of the house, and chef coats, pants, hats, cook shirts and aprons for the back of the house. Plus affordable his and hers polo shirts in 12 colors to create a uniform look for any staff. Check out all the of the options at our web store.